Though seizures occur rarely as one complication of diabetes, they can be life threatening. Therefore, you must be aware about these seizures in advance; being well-prepared and well-informed can definitely safe your life. What is going on while seizures happen? Generally, you will experience a seizure due to sudden continuous contradictory electrical signals from your brain. Despite that high blood sugar levels can cause seizures, they occur mostly due to profound hypoglycemia. So, they both can cause mixed messages to your brain. Well, hypoglycemia is a condition caused by abnormal low blood glucose levels; glucose is the main source of energy for your body. It is a fact that your brain can’t produce or store its need of energy; therefore, it continuously needs a constant supply of glucose. Having too low blood glucose levels can cause effects on your brain; you can pass out, entering to a coma or developing a diabetic seizure slowly. The symptoms of seizures in diabetics vary. You can be unaware of the surroundings though your eyes are open and you look conscious. You might be dazed or confused, and cannot respond to questions or answers. Actually, some diabetics have non-noticeable seizures, which are distinguished only by rapid blinking or staring into wide space. Other diabetes seizure may cause violent convulsions, turning, twitching or stiffness of muscles, and short loss of memory. You may also experience involuntary movements and/or feeling numbness in certain parts of your body, even after you recover the seizure. Moreover, you can have a diabetic seizure at night while sleeping, you might not even recognize that you had one, the only signs you will have are the morning headaches, wet sheets from night sweat, and high blood glucose levels. Sometimes, less common symptoms of diabetic seizure may occur like pain in the chest, and severe swinging moods. Also, most seizures are manifested by smelling a strange odor, having panic attacks or seeing moving flashes of light. How long does the seizure attack last? A diabetic seizure might last for few seconds or might result in a continuous seizure, which requires a fast medical treatment. 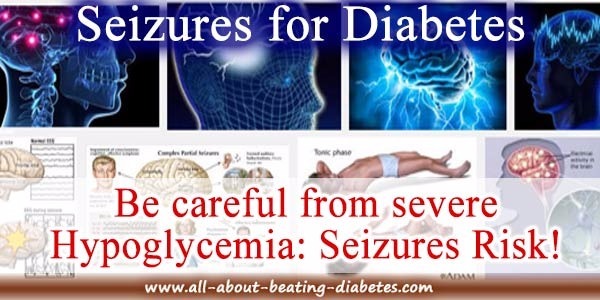 Fortunately, the seizures due to hypoglycemia can be treated rapidly. In the hospital, you will receive an intravenous drip of glucose, your blood glucose levels will raise quickly, and the seizure ends there. You do not need to take an anti-epileptic drug, as you do not have epilepsy. You will not have another seizure if your blood glucose levels don’t fall down again. What if you noticed someone having a diabetic seizure? In the majority of cases, diabetic seizures occur due to low blood glucose level. So the best way to treat a person in seizure is to rub syrup, honey or cake frosting to inside his/her gums to allow fast rise in blood glucose levels. However, do not ever try to make him swallow or drink anything, and try to call an ambulance immediately. Stay with the person until the seizure ends naturally and try to reassure his complete consciousness. After the seizure, try to be friendly and supportive, you can offer to bring a taxi, or call a friend or relative to help in the person to go home if he still confused or unable to go home alone. All doctors recommend you not to take matter of a diabetic seizure lightly; this can be a big mistake. During a seizure you might accidentally hurt yourself. You might also suffer from serious injuries due to falling or hitting your body against hard objects. The worst other type of injury can occur due to biting your tongue; this can result in a profuse bleeding. 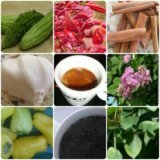 In addition, there is a big possibility to lapse into a diabetic coma, the problem with a coma that we cannot predict the brain damage caused by it in advance. Moreover, we cannot know how long the person will stay in coma; the longer the coma, the more permanent will be brain damage. Therefore, there is no way to estimate the extent of the brain damage until the person recovers from coma. Believe me! In case of diabetic seizures, the prevention is always much better than the treatment as for everything in our life. Take good care of yourselves! Find out the two categories of Diabetes Complications. Get a comprehensive review of Diabetic Dermopathy. Diabetes leg pain – causes, symptoms, care right here.